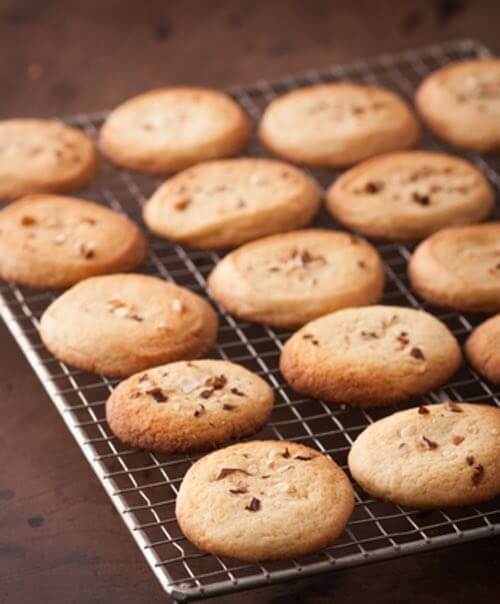 Grandma's old fashioned almond cookie recipes make delicious cookies with the fresh flavor of almond that your whole family will enjoy. 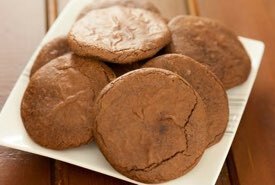 I always love to eat an almond cookie as a treat after a Chinese buffet, but these homemade cookies taste so much better than the store-bought, restaurant variety. 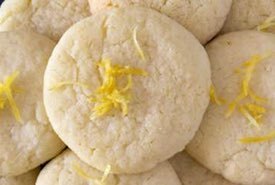 The easy-to-make cookies are a great choice for taking on summertime picnics or for serving at parties or for an after-school snack. And they're perfect for munching on while watching a movie. Beat to a hard sauce 1/4 pound sweet butter and 1/4 pound pulverized sugar (sifted). Add the yolks of 3 well-beaten eggs. When a smooth cream, add 4 ounces blanched and sliced almonds, and 6 ounces flour (in which has been sifted 1 teaspoon baking powder). Stir with a wooden spoon until a smooth paste. Use sugar in making the dough into balls, and set these 1 inch apart in greased pan. Wet the tops lightly and sprinkle with sugar and place an almond in the centre of each. Bake to a light straw color. 1/2 cup butter, 1 egg, 1/3 cup almonds blanched and finely chopped, grated rind 1/2 lemon, 1/2 cup sugar, 1/2 tablespoon cinnamon, 1/2 tablespoon clove, 1/2 tablespoon nutmeg, 2 tablespoons brandy, 2 cups flour. Jumbles are large cake-like cookies that have been popular in Europe since the Middle Ages. They were often shaped in doughnut-like rings or rolls and were sometimes twisted into knots. Three cupfuls of soft sugar, two cupfuls of flour, half a cupful of butter, one teacupful of loppered milk, five eggs well beaten, two tablespoonfuls of rose- water, three-quarters of a pound of almonds, blanched and chopped very fine, one teaspoonful of baking soda dissolved in boiling water. Cream butter and sugar; stir in the beaten yolks the milk, flour, rosewater, almonds and, lastly, the beaten whites very lightly and quickly; drop in rings on buttered paper and bake at once. "Loppered Milk" (also known as clabbered milk) was a byproduct of making clabber cream. Unpasteurized milk was allowed to sit until the cream rose to the top of the pail. The clabber cream was removed, and the remaining loppered milk was used in baking. Its sourness reacted with the baking soda to cause a leavening effect in recipes. Simply substitute buttermilk, or to 1 cup of milk add 2 teaspoons of lemon juice or vinegar.